New home looking for an owner! This is a charming 2 bedrm / 2 bath craftsman style home in a delightful neighborhood. This well crafted stucco home has many custom finishes you would expect in a more expensive home. 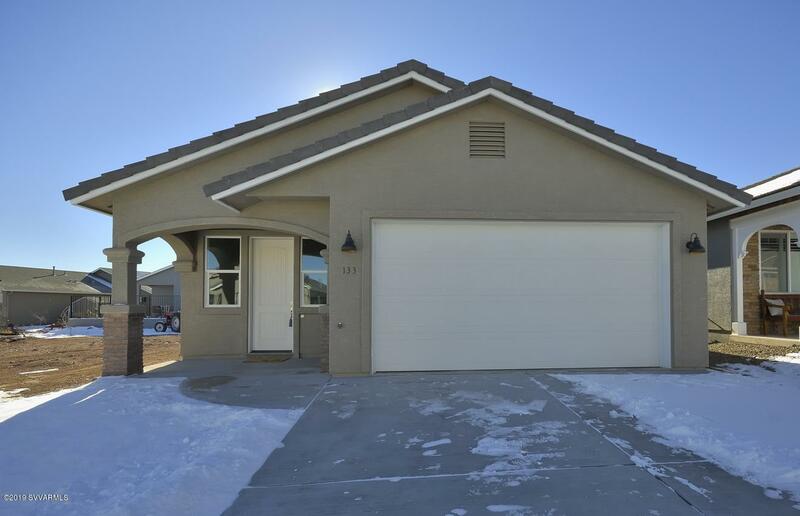 Tile roof, granite countertops, wood laminate flooring, vaulted ceilings, ceiling fans, tile backsplash, recirc hot water and stainless appliances. You'll love the comfort of this easy to live in, low maintainance residence for sure. Enjoy the four seasons in this delightful home in one of Northern Arizona's best communities located at the foot of Mingus Mountain. Banking, shopping, hiking, medical offices, just minutes away! Must see. Great price. Great home!